106cm Murray cod surface fly fishing! G’day – Excited to say the least as at this moment and words can’t explain! 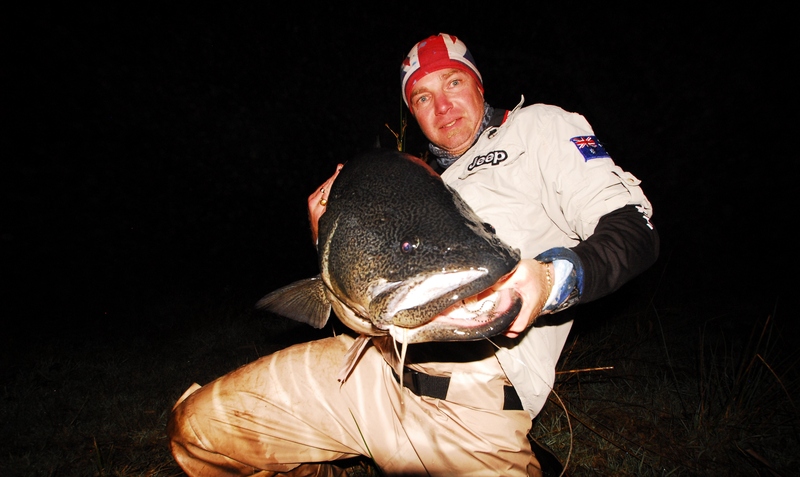 But ecstatic to announce that my latest Murray cod on fly is 106cm – 30kg or 67lb and a girth of 97cm. It was rather a cold night at 4 degrees the water temperature about the same; with fog rolling in though out the night. Myself and angling mate Steve, fished from the late night though to the very early hours the following morning. It was 2AM we had a few inquiries before the huge commotion erupted and it was fish on. Once the cod was hooked it was about a 15 minute fight with many hart stopping moments – Steve netted the big girl and happy days were here! We were casting surface flies and big 1s at that, the Cod Zooka from the Kaos range tied on a 5/0 Owner hook and a length of 220mm. A short career in the fishing industry; only fly tying and fly fishing for 5 years. Owning my own Murray cod fly tying company for the same duration. Leaning a lesson or two from other anglers and educating anglers’ myself; as well as experimenting with all tackle. Taking the good with the bad and keeping faith, goals can be reached and time on the water being proactive using the time wisely can result in long life dreams. 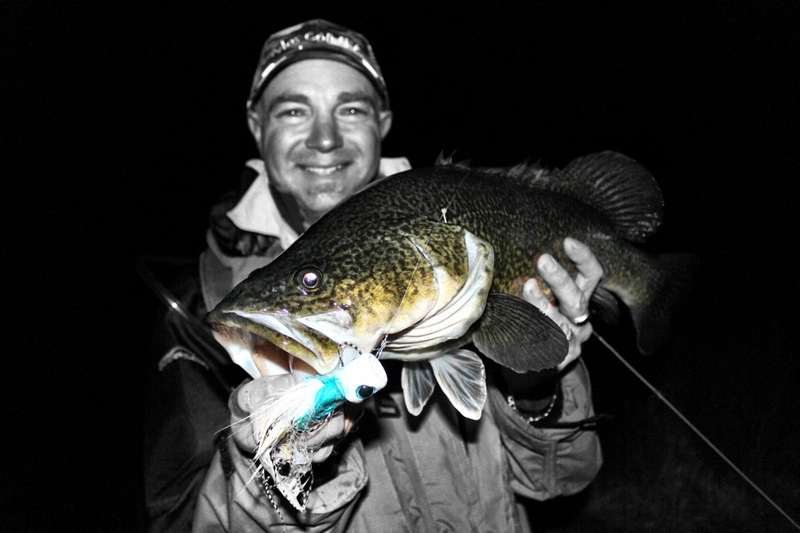 Winter Murray cod fly fishing off the surface!